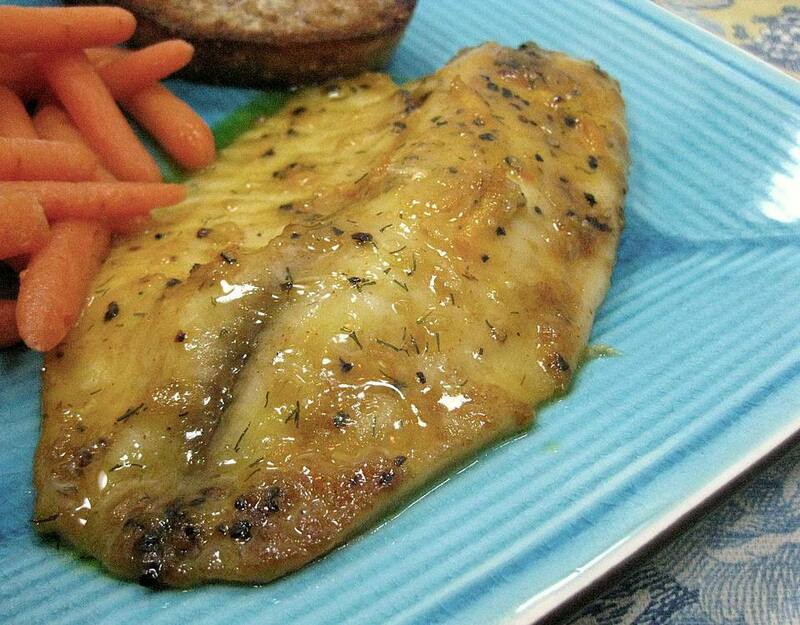 We love the sweet and tangy taste of orange with mild fish in this special recipe for honey orange fish fillets. It's easy and impressive enough to serve to important guests. This is a super simple recipe and perfect for Lent because it has a spring-like taste and feel. You can use other seasonings in this recipe, such as basil, thyme, or marjoram in place of the dill weed if you'd like. Remove the fish from the dish and reserve the marinade. Grill or broil the fish 4-6" away from heat source (either over medium coals or under a hot broiler), turning carefully once and brushing with the marinade until fish is thoroughly cooked and flakes easily when tested with a fork, about 5 to 10 minutes. If the fish is less than 1/2" thick, you can broil it without turning, which makes the recipe much easier! Discard any remaining marinade and serve the fish immediately.